ign affairs, he was also a critic of it. He saw the system as one that prevented achievement of true nationhood, and therefore, as Peabody describes, "utterly subversive to the stated goal of preserving them as viable entities." Tod wrote in 1829 that the system of indirect rule had a tendency to "national degradation" of the Rajput territories and that this undermined them because Who will dare to urge that a government, which cannot support its internal rule without restriction, can be national? That without power unshackled and unrestrained by exterior council or espionage, it can maintain its self-respect? This first of feelings these treaties utterly annihilate. Can we suppose such denationalised allies are to be depended upon in emergencies? Or, if allowed to retain a spark of their ancient moral inheritance, that it will not be kindled into a flame against us when opportunity offers? 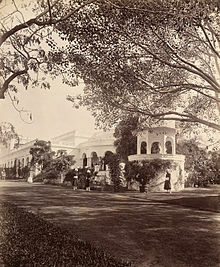 There was a political aspect to his views: if the British recast themselves as overseers seeking to re-establish lost Rajput nations, then this would at once smooth the relationship between those two parties and distinguish the threatening, denationalising Marathas from the paternal, nation-creating British. It was an argument that had been deployed by others in the European arena, including in relation to the way in which Britain portrayed the imperialism of Napoleonic France as denationalising those countries which it conquered, whereas (it was claimed) British imperialism freed people; William Bentinck, a soldier and statesmen who later in life served as Governor-General of India, noted in 1811 that "Bonaparte made kings; England makes nations". However, his arguments in favour of granting sovereignty to the Rajputs failed to achieve that end, although the frontispiece to volume one of his Annals did contain a plea to the then English King George IV to reinstate the "former independence" of the Rajputs.